The North-West University’s (NWU’s) campus in Mahikeng appointed Mr Jimmy Molautsi as director for student life as of 1 September 2017. His responsibilities include providing strategic leadership and taking care of day-to-day operations with regard to student programmes and residence life on campus. This includes advising students in the governance process; student rights, freedom and responsibilities; school policies and state laws affecting students; The general oversight of all student activities and events on campus, as well as providing guidance to the Student Campus Council, and student clubs and organisations. Before joining the NWU, Jimmy served as a programme coordinator in the Student Affairs Department of the University of Pretoria. His earlier appointments include acting director responsible for learner affairs and support at the South West Gauteng College from 2003 until 2006, as well as student development practitioner in the Student Affairs Department of the University of Johannesburg (UJ) until 2014. Jimmy holds the following qualifications: a Secondary Teachers Diploma: Technical from the Molapo College of Education in 1989, a National Diploma in civil engineering in 1995, a BEd degree from the former Randse Afrikaanse Universiteit (RAU) in 1997, a BEdHons degree in training and development in 2008, and a Master’s of Commerce in business management from UJ in 2013. 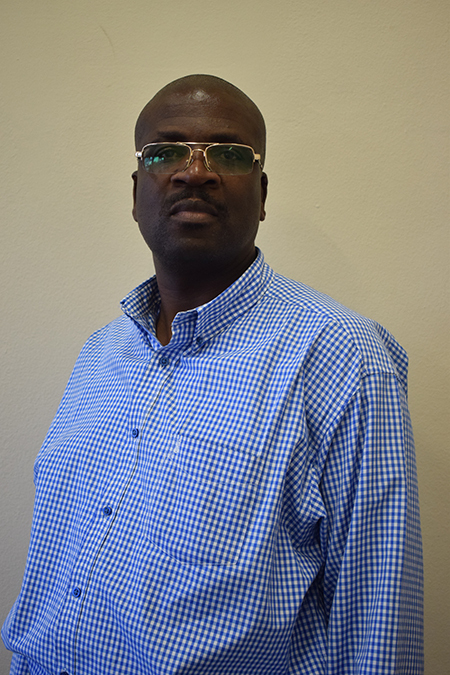 Mr Jimmy Molautsi is the new director for student life on the NWU’s campus in Mahikeng.